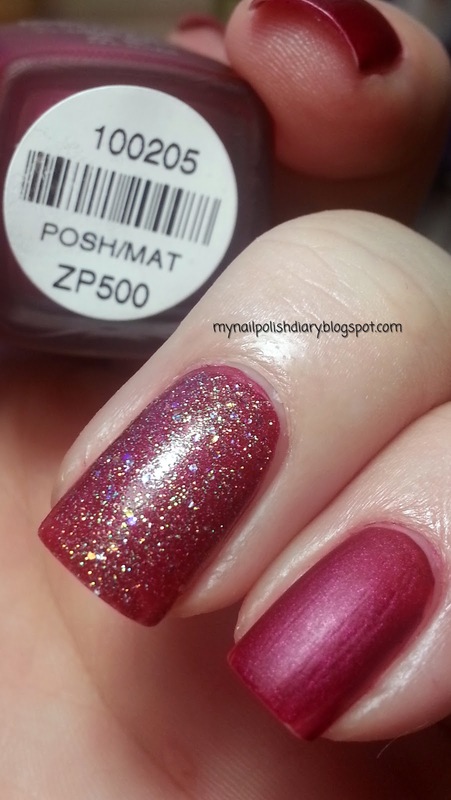 Zoya Posh is from the Velvet Matte Collection from 2009. 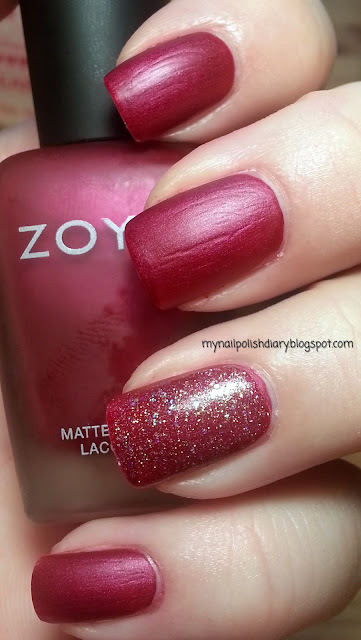 This collection is amazing and one of my favorites from Zoya. It's not a true matte, which I guess is why they call it Velvet Matte. It's not quite as shimmery as OPI's Suede collection, but definitely not matte in it's true finish. I really love this shade. It's kind of a burgandy like red. It reflects light and looks shiny like without being glossy shiny. I love it. It shows brush strokes a little bit. Not nearly as much as it appears in the pictures though. Way less noticeable in real life. Butter London Tart With A Heart is a golden micro glitter with larger glitter that reflects a bunch of colors. It was released 2011 in their Holiday Dressing Table Duo with The Black Knight. It's really gorgeous. I absolutely love it! It's so sparkly and girly. I seriously adore it and I know I'll be wearing it again soon.